A teaser page on Amazon India has confirmed the Vivo 15 Pro tech specs. The phone will be equipped with an in-display fingerprint scanner, which seems to be the 2019 trend. The Vivo 15 Pro tech specs are equally impressive in the optics department with a 32MP pop-up camera for selfies. The main cameras boast a triple lens setup with a 48MP rear camera aligned vertically with the other two cameras. An LED Flash sits between two of the cameras and is placed horizontally. The teaser photos show that the Vivo 15 Pro has a USB Type-C port. But the phone does not have a 3.5mm headphone jack. Based on a previous leak, we know some of the other Vivo 15 Pro tech specs. The phone has a Super AMOLED display, and is powered by a Qualcomm Snapdragon 675 processor, with 6GB RAM and 128GB of storage. The other lenses on the device are 8MP and 5MP cameras. The main 48MP camera uses a Samsung GM1 sensor. Rumour has it that the phone could be priced at about Rs. 25,000. 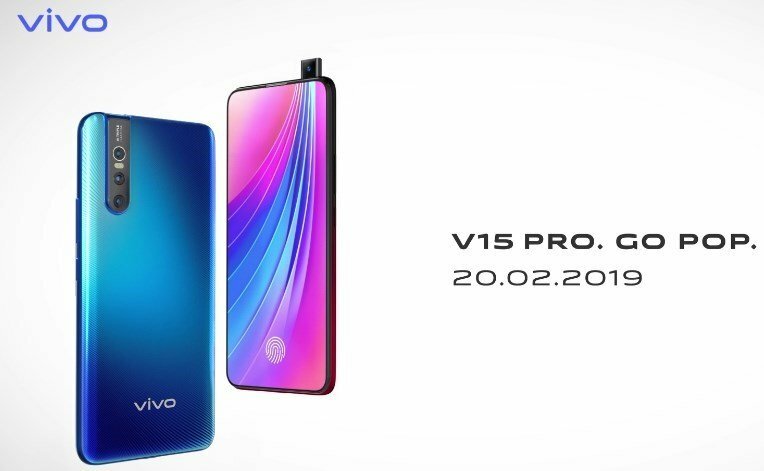 We already know that the Vivo 15 Pro India launch date is set for February 20th, so we only have to wait a week for the device’s debut.